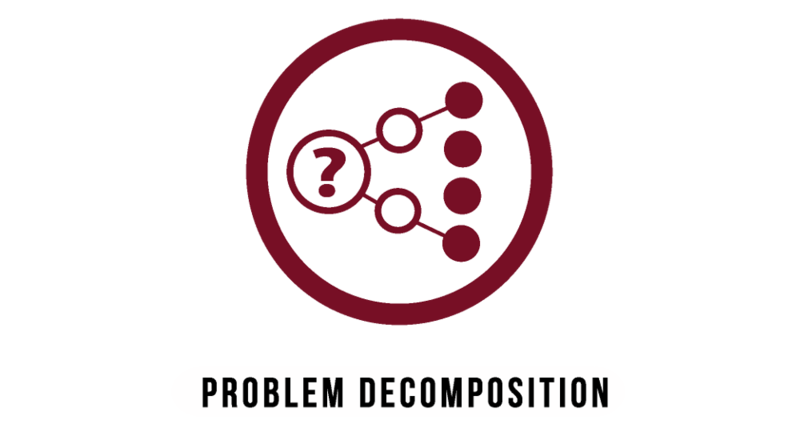 Decomposition is the act of breaking down tasks into smaller details. As humans, we do this all the time, even with something as simple and automatic like the act of brushing our teeth. Being creatures of habit, we are able to brush our teeth without giving much thought to toothpaste and toothbrush matters, how long to brush, directions and how hard to press on our teeth each morning. Decomposition , as one of the cornerstones of Computer Science requires much more thinking skills than the simple act of brushing our teeth. Reason tells us it is certainly more manageable to examine and solve a complex problem one small part at a time rather than to be astounded and confused by the sheer size and complexity of one gigantic problem.